From reading Aminu’s story, you will see that not everywhere in Nigeria is terrible and not every young person lacks passion for the country! When he told me that the government hospital in Jigawa provids free food for patients and pays a fantastic salary to its doctors, I was shocked, because that couldn’t be reconciled with my reality of Nigeria. Aminu spoke so passionately about returning to Nigeria after his PhD to start a world class lab and find cures for diseases. 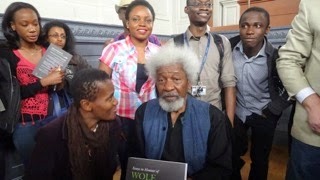 You could feel the pain when he explained to me that finding a cure for Ebola and other diseases was not something Nigeria couldn’t do, but the lack of skilled persons and equipment was the constraint. I was so ashamed of myself when I got off the train because after deep soul searching I wasn’t sure I had a grand plan to to improve my country. We celebrate entrepreneurs, intellectual, artists and all those who have Innovative plans that will surely make them Thrive. I think you will be inspired by Aminu’s story. Educational Background: I graduated with a medical degree from Bayero University, Kano (Nigeria) in 2010, and a masters in immunology from the University of Oxford in 2014. I joined the Goodfellow Lab at the University of Cambridge in October 2014 for a PhD in Pathology. What do you do: I work on novel sensing mechanisms of non-enveloped viruses, and the viral evasion strategies against them. That means I am trying to find out how our bodies become aware of an ongoing infection with some particular types of viruses. Viruses have structures so simple that we don’t even consider them to be living organisms. However, when we get infected with them, they are able to hijack the command structures of the entire cell and make it do their bidding. Our cells, on the other hand, have evolved several mechanisms of sensing the presence of a virus within them early on, and when they do find a virus, they have mechanisms of getting rid of them before it is too late. My work aims to work out the different ways our cells do this, and how different viruses evade these mechanisms. It is hoped that results from the work will improve our knowledge of basic cell biology and will inform future research on new vaccines and drug development. How did you start: My career path has been somewhat unpredictable from the start. At a point when I was five, I wanted to become a mango seller, just so that I can have all the mangoes I wanted. But that didn’t happen! My parents taught me, from a young age, that I have the ability to become whatever I want. 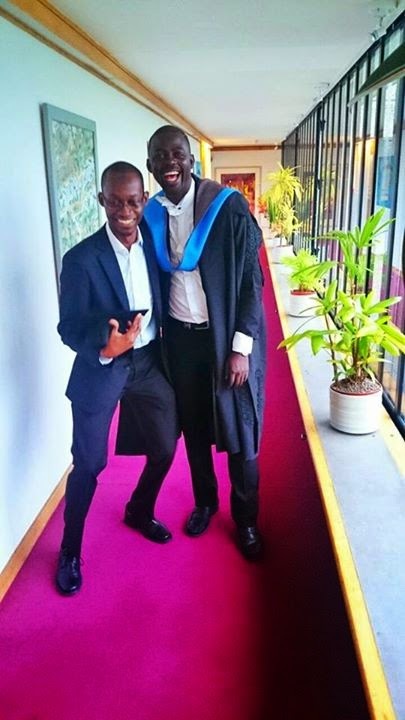 In my final year of secondary school, like most of my peers at the time, I didn’t really have any idea what studying Medicine, Law, or even Engineering entailed. We did not have a functioning guidance and counselling system back then. So, when I got the JAMB form, I had no clue what I wanted to become. Most of my friends wanted to become Electrical Engineers because we all loved computers (even though only one of us had ever actually used one at that time!). My Dad, being a Lawyer, wanted me to study Law, and my Mum, being a nurse, wanted me to become a Doctor. At the end, everybody compromised and I chose to become a Doctor. And that is possibly the best decision I have ever taken. What challenges have you faced: I would say I am probably one of the luckiest persons alive today. My life has been somewhat easy. I find it very easy to do what other people don’t like to do, and that helps a lot. I was one of those students that is always in the front seats in lectures, or the ones that start pulling their hair out for missing a lecture. I am one of those students that become friends with the librarian because they are always in the library, and the ones that know all the night shift nurses at the emergency ward because they spend a lot of nights in the wards. However, I also procrastinate a lot! In fact, I probably go to class really early because I am putting-off completing some pressing chore at home, or I am chatting up the librarian to avoid reading something meaningful, or spending time at the emergency ward at night even though I have a lot of stuff to read. If I didn’t procrastinate, I would probably be preparing to receive a Nobel Prize by now. So, I guess that has been my main challenge. It still is. Toughest decision you have made: I think my decision to come to the UK for my Masters and PhD were the toughest, for at least two reasons. First, I really enjoyed what I did at the time. I worked in the maternity ward of a general hospital in Jigawa state at the time. Now, in most hospitals, you will find the hardest working staff in the maternity and emergency wards because that is where small mistakes could easily lead to death. But the staff at the maternity ward I worked in were especially hard-working. Every month we set targets for ourselves of how we were going to bring down the number of women dying from childbirth, and throughout the month you’ll see people really trying to reach those targets. It was an incredible atmosphere, very unlike the stereotypical maternity ward in a government-run hospital in Nigeria. There is no better feeling than looking at someone while they play with their kid, and realizing that just a few hours ago, they were on the verge of dying. In most cases, when you do your job right, that patient would never even fathom the danger they were in. I was learning a lot everyday. What helped even more was the fact that the state government provided all services, including lunch and dinner, free to the pregnant women so we didn’t have to ask for any money from the patients. Plus, the salary was awesome so we were all highly motivated. Leaving that job was therefore really tough. But then, you don’t meet a lot of Nigerians or even Africans with PhDs in immunology or virology, even though we get majority of the infections. If we’ve had our own virologists/immunologists working on Ebola for example, we would have had our ‘secret serum’ even before the current pandemic started. We need people going into these fields so that we can start doing basic science research that can tackle our own problems, and not have to wait for others to help us whenever there is an epidemic. 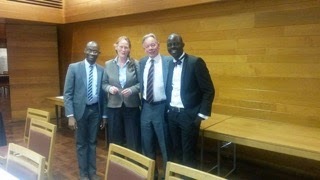 And that is why I had to come for the PhD, with help from the PRESSID scholarship. What has been your most rewarding moment: As a student and as a doctor, you get so many rewarding moments that you start to lose count. Getting a good mark after a difficult exam or in a course that is notorious for its failure rate never gets old. And its always satisfying to see a patient moving about when she literally had no pulse a few days ago, or she was gushing out blood like a tap just a few hours ago. 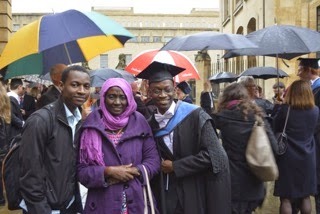 However, I have to say, seeing my mum at my Oxford graduation is at the top of the list. Do you have any fears : I don’t know. I am generally an overly optimistic person. For instance, I believe in a few years, with the way young Nigerians are thinking, most of our problems will be a thing of the past. Most of the young people I have met know that there is no development without security. And they know corruption retards development, and that politicians are mostly not to be trusted. Our politicians are also now realizing the importance of providing quality education to everybody, regardless of their gender or where they are coming from. I am also studying in a very exciting field, with an awesome supervisor, in arguably the best University in the world to study it. So, no… I don’t have any fears… Except maybe that my procrastination will get worse! What are your future plans: After my PhD, hopefully in the next 3 years, I plan to return to Nigeria and enrol in the clinical residency program in internal medicine or paediatrics, while continuing with my research. At the end, I hope to become a doctor-scientist, able to teach students, see patients and do research. We don’t have a lot of those in Nigeria at the moment. We do not have doctors that are also doing research in basic sciences, but I hope that will change in the future. Any advice: I’m not sure I am qualified to give anyone any non-medical advice. I am only thirty, so I still don’t know how life works. But looking back at my very short life, I think what keeps me going is the belief that I can do whatever I put my mind to, and my ability to persevere. I don’t have any special talent. I can’t say I am the best at anything. But I know that, like everyone else, I can accomplish whatever I put my mind to. I’m not saying this because it sounds good. No. I’m saying it because I have kinda tried it and it works. During my undergraduate years, for example, I thought the most difficult thing was writing. So I gave it a shot. By the time I graduated, I not only learned how to write, I became the editor-in-chief of at least 2 student magazines for 3 years, simultaneously. And then at a time, I thought to be a graphic designer, you needed to be a naturally born-artist or something. I thought it was impossible for me to learn corelDRAW or Adobe photoshop. However, as an editor-in-chief, when commercial graphic artists started churning out crappy designs for our magazines, I learned how to work with these softwares to make better designs. That was while I was studying to become a doctor. So, we can all do whatever we put our minds to. I have seen so many people achieve so much just because they believe they can, and they keep trying even when they fail the first few times. I Rep Bayero University, Kano. The best University in Northern Nigeria, we are proud of you Aminu. Am a Final year student of Medical Anatomy. He Liked My Instagram Picture From 34 Weeks Ago… Does This Mean He Likes Me?